Glory, glory, hallelujah! Glory, glory, hallelujah! Glory, glory, hallelujah! 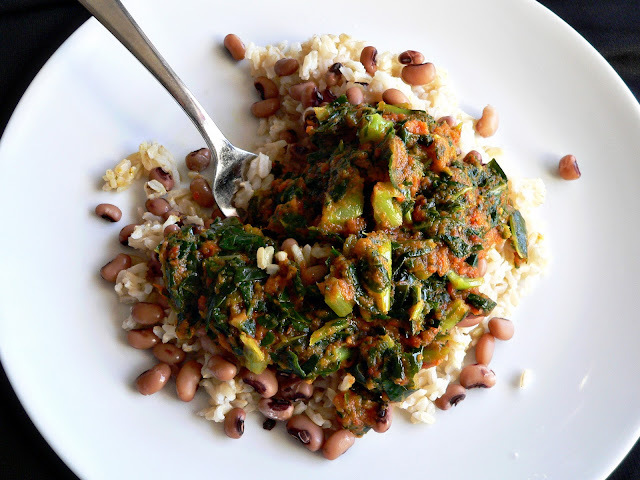 I have finally found a beans and rice recipe that is divine, heavenly, and out of this world! Three huge helpings for my young son certainly attests to the fantastic nature of this dish. 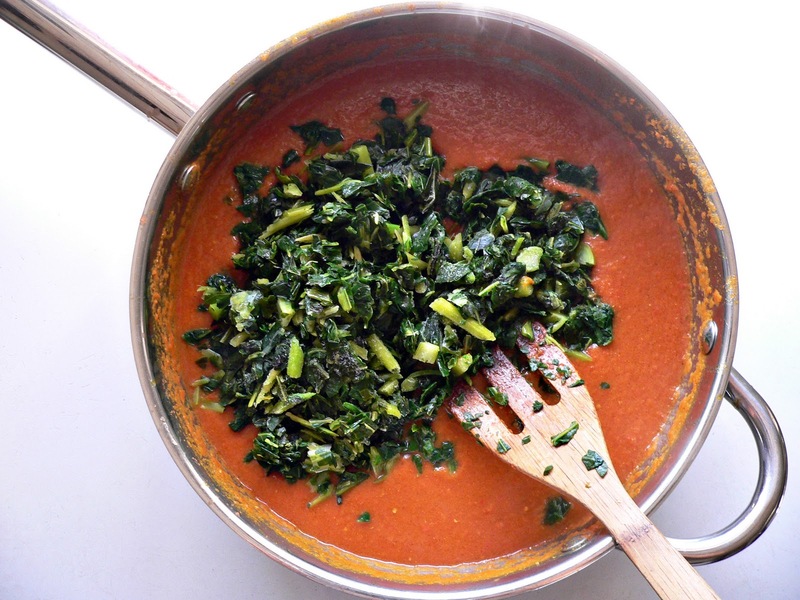 And... we found a use for collard greens that everyone loves! The beautiful thing about collard greens is that they contain a remarkably higher calcium content than that of some other leafy greens. One serving (1 cup) of cooked collard greens contains twice as much calcium as kale, equaling more than one third the recommended daily value for women (1000 mg). This is great news for those of us refraining from dairy in our diets. Prepare dried beans according to package directions. Usually takes 5 hours from start to finish, so get this going around lunch time. 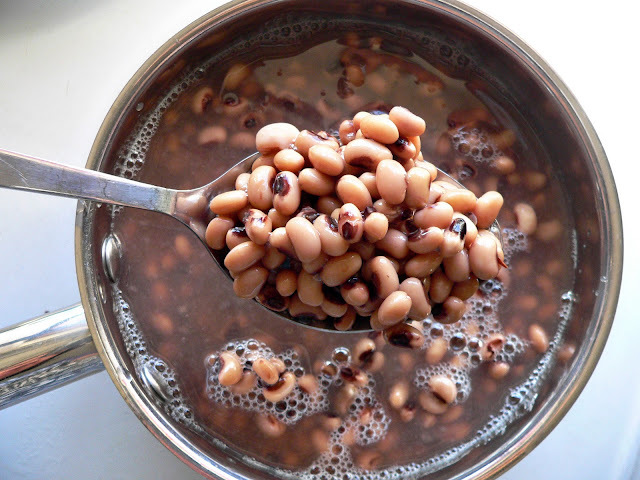 Or take the easy road and use canned beans. In this case, simply put them on low heat just after you get the rice going. Start the brown rice a-cookin'. Bring 4 cups water to a boil. 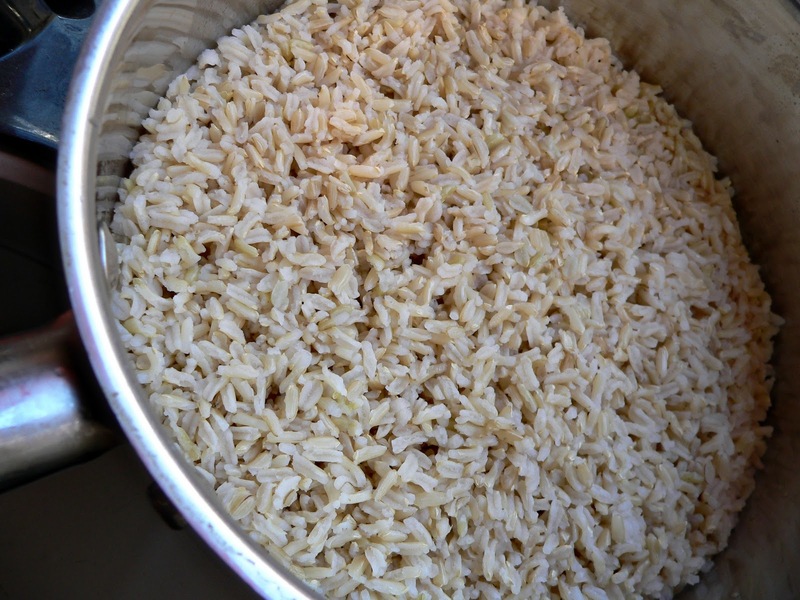 Add 2 cups uncooked brown rice. Add salt to your taste. Stir. Cover with a lid, reduce heat to low, simmer for 50 minutes or until rice is tender. Chop bell pepper, tomato, onion, hot pepper, ginger and garlic. 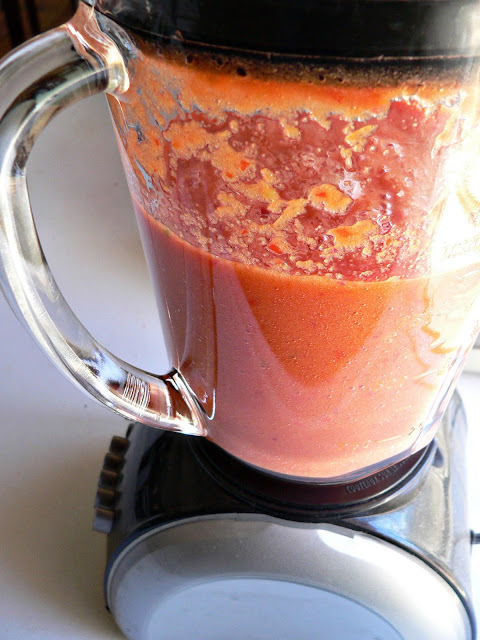 Place in blender or food processor with 1/2 cup water. 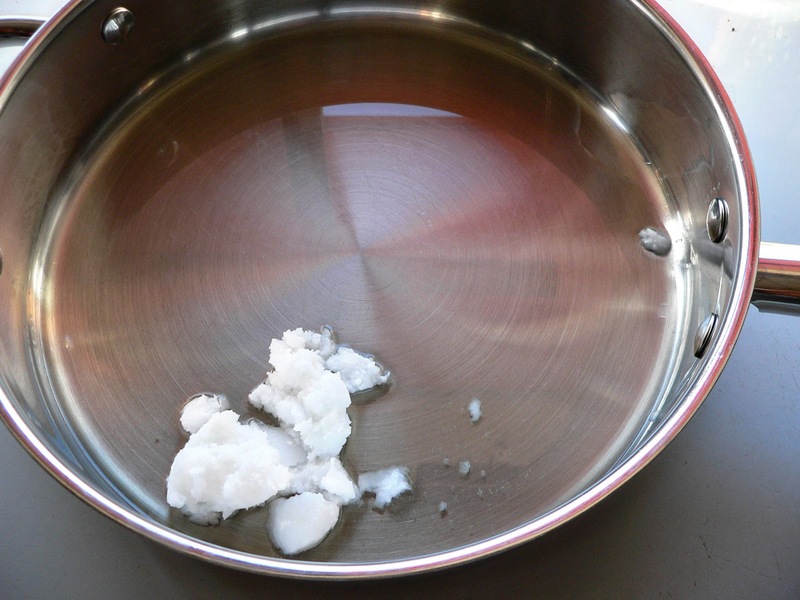 Add oils to the saucepan on medium heat. 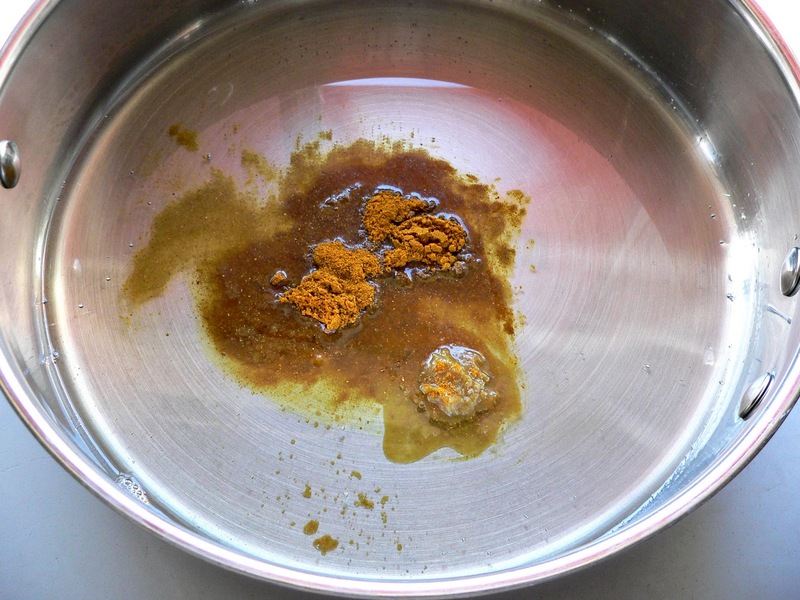 Add curry powder and chicken bullion to hot oil. Now add blended mixture to hot oil. 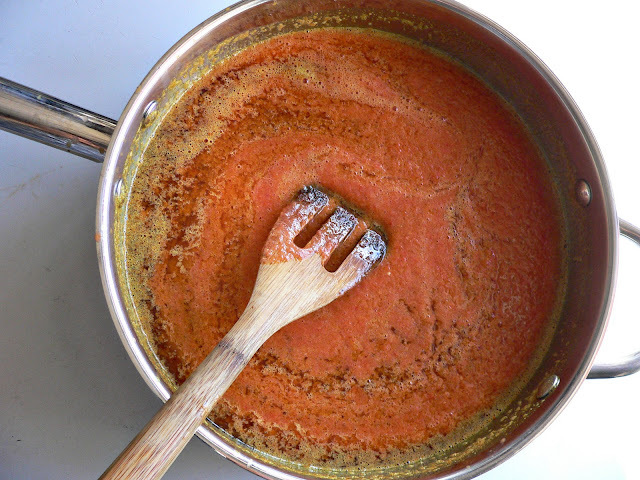 Taste the blend so you have a frame of reference for determining when the sauce is done. Stir to combine. Boil for 30 minutes over medium heat. It is fully cooked when the flavors are rich and complex. Add defrosted collard greens. No worries if they're still a little frozen. 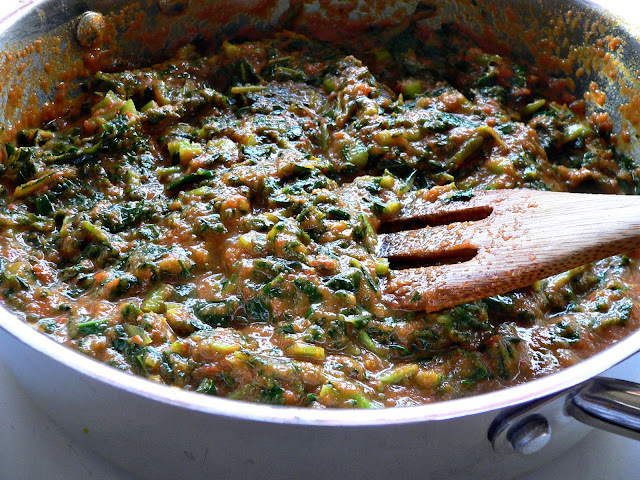 The Efo Riro can handle it. Stir to combine. Cook 5 minutes more. Serve over brown rice and black eyed peas. Salt as needed. Watch this video to know how I was feeling after tasting my first bite of Efo Riro. Continue watching to know how I was feeling after finishing my third plate! Yum! We tried this tonight and really enjoyed it. 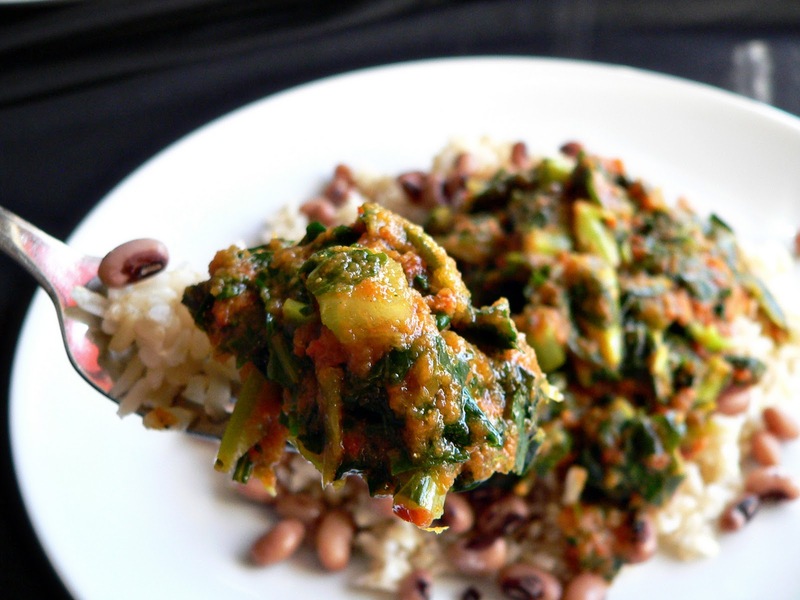 We used canned beans and fresh collard greens. We put the greens in so they cooked about 15 min and it turned out great. So glad you share my passion for Efo Riro. Yum, yum! Can this be right? 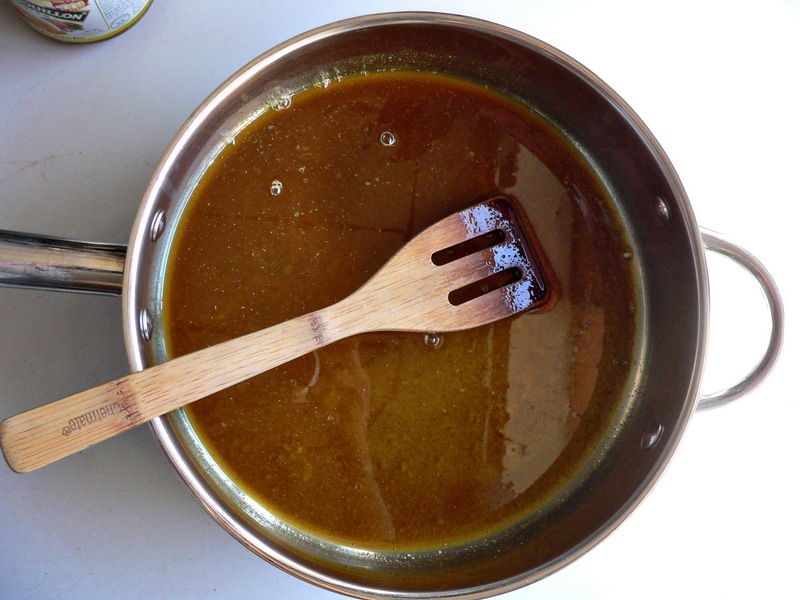 A whole cup of oil in what seems like a relatively small amount of sauce?